Country: Portraits of an American Sound (2015) – What's New on Netflix Canada Today! ‘Country: Portraits of an American Sound’ is a documentary film that explores the history and culture of country music through the lens of photography, which has portrayed the ideals, lifestyle and personalities of country music artists for over 80 years. The film features imagery and commentary from Grand Ole Opry photographer Les Leverett, the late celebrity photographer Leigh Wiener, documentary photographer Henry Horenstein, iconic music photographers Henry Diltz and Raeanne Rubenstein, and contemporary photographers David McClister and Michael Wilson. Over a dozen country music artists also appear, including Rosanne Cash, Roy Clark, Merle Haggard, Lyle Lovett, Charley Pride, LeAnn Rimes, Kenny Rogers, Tanya Tucker, The Band Perry and Keith Urban. 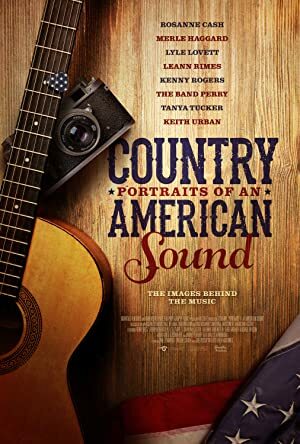 The film weaves iconic images, historical footage and over 25 country music hits into a dynamic look at this uniquely American sound.